Do we have enough nuclear fuel? Did you know? 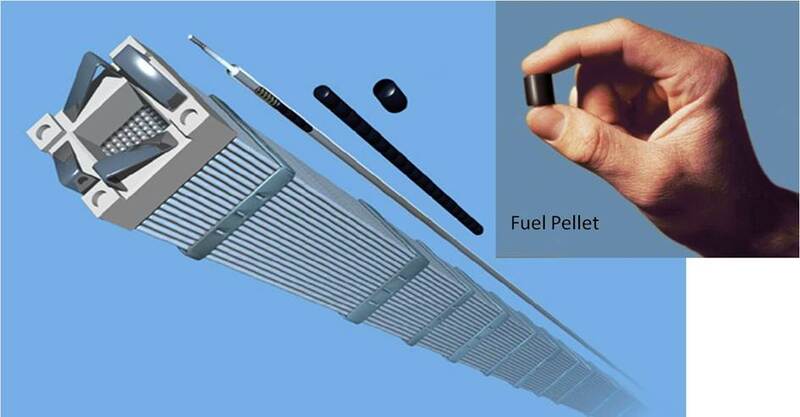 A single uranium fuel pellet contains as much energy as 480 cubic meters of natural gas, nearly a ton of coal or 149 gallons of oil. Where does it come from and do we have a plentiful supply for U.S. nuclear plants? 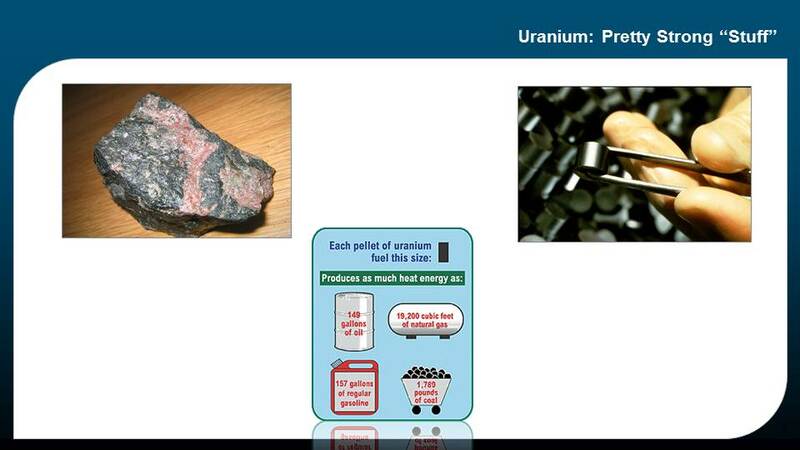 Uranium is a common metal found in rocks and seawater. It occurs naturally in the earth’s crust and traces of it are found nearly everywhere. Due to increased mineral exploration, supplies are said to be adequate to meet U.S. energy needs (at current consumption levels) for the next 100 years and perhaps much longer. But, to use it in commercial nuclear plants, uranium must be removed from the rock in which it is found, and then enriched, before it is made into nuclear fuel pellets that are placed into nuclear fuel assemblies and shipped to U.S. nuclear plants. See how nuclear power is produced. While three-fourths of the world production of uranium comes from predominately six countries, including Canada and Australia (which accounts for 20 percent of global production), the U.S. accounts for three to four percent. This seemingly small amount, along with releases from U.S. government stock-piles, supplied 20 percent of the material used by owners and operators of U.S. nuclear plants in 2012. The additional supply came from other sources including Russia, Kazakhstan and Africa. According to the Nuclear Energy Institute, the Megatons to Megawatts program has resulted in more than 20,000 Russian nuclear warheads being recycled into fuel for nuclear plants. This fuel has been used by nearly every U.S. nuclear plant to generate clean, reliable electricity and has produced approximately 10 percent of the electricity used in America since 1995.